Removable media data recovery software is developed to restore data that have been lost from external hard disk partitions and various USB mass storage media. ☑ Tool facilitates quick recovery of lost data from portable USB storage devices. ☑ Recovers files lost even if “Drive not formatted” or “Drive not detected” message is displayed while accessing USB removable data storage drives. 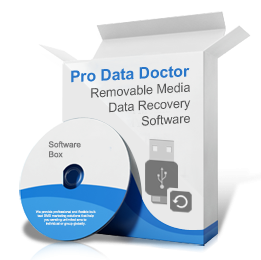 ☑ Recovers deleted image files/audio-video/music files saved in various removable media drives. USB storage media – PDA handhelds, Mp3/mp4 players, Memory cards, Pen drive, external USB hard disk and many more. Removable media brands – Transcend, Kingmax, Kingston, Sony, SanDisk, Super flash and other popular USB drive manufacturers. Power failure and other similar data loss reasons.